Will my DP Stage 0/1 and TB3 setup now work with spectrum? Will my TB3 external stepper motors work with spectrum? I bought an eMotimo turntable for use with my TB3, will it work with spectrum? I have a Rhino 4FT Pro, 2FT Carbon Core or similar V1 Slider with eMotimo Belt Drive from Rhino, will it work with Spectrum? I bought an eMotimo cart for use with my TB3, will it work with spectrum? We recommend a reliable ball head to level incline shots and this also comes in handy for additional clearance on the DP Stage 1 dolly as spectrum rotates much lower than the TB3 and the aux stepper motor interferes with spectrum's full range of motion. If you have a motor from DP, their pin outs are slightly different on the motor side. If you are a DIY'er and are comfortable swapping pins on the spectrum cable you can make it work with DP motors. Top down and from left to right the spectrum works with color layout black, green, red, blue. you will have a modified cable that can now only drive DP motors. This modification voids warranty on the cable though as you can break the connector's plastic housing or metal pins so be careful! The obvious benefit of this cable is that it will now work with your DP motors, but it does have its disadvantages. 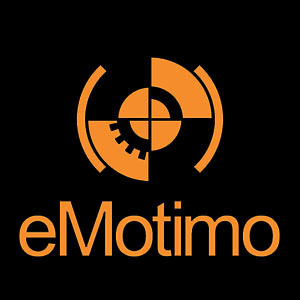 The eMotimo spectrum has been developed for eMotimo motors. Our high torque modes and high speed modes (turbo) work specifically for the motors we offer and develop for. When using the spectrum with 3rd party motors, we cannot guarantee our specs any longer. Please do not expect DP motors to run as fast or have the same torque promised with eMotimo stepper motors. We do not offer support for DIY cables and 3rd party motors we have not tested against. I have a Rhino EVO slider, will it work with the eMotimo TB3/spectrum? Will the Epic Red camera work on the TB3? Red and Green Wires on the motor side have to be swapped. After that it is working.